The enactment of the us financial regulatory reform act means that the us financial regulation has abandoned some basic principles in the financial services modernization act of 1999 and returned to the glass-steagall act of 1933. The financial services modernization act, signed and enacted by then-president Bill Clinton in 1999, repealed the glass-steagall act, which abolished the boundary between banking, securities and insurance, and the old separation of businesses, allowing financial institutions to conduct multiple businesses at the same time. The glass-steagall act, also known as the banking act of 1933. The law strictly separates investment banking from commercial banking and ensures that commercial Banks avoid risks in the securities industry. The outbreak of the subprime mortgage crisis in the United States in 2007 made people re-examine the neoliberal economic policies implemented by the United States in the past 30 years. The so-called neoliberalism is a set of ideological trend whose main goal is to revive the traditional liberal ideal and reduce the government's intervention in the economic society. An important element of neoliberalism is deregulation, including financial regulation. The us government has been making and revising laws to relax restrictions on the financial industry, promote financial liberalization and financial innovation, and remove barriers between banking and investment industries such as securities and insurance, thus opening the door for financial market innovation and financial speculation. The absence of financial regulation led directly to the worst financial and economic crisis since the great depression of the 1930s. The enactment of the new regulation law means that the us financial regulation will be tightened again, and the proprietary business of commercial Banks will be severely restricted. All kinds of strict requirements indicate the determination of the us financial regulatory authorities to seize the initiative from the Wall Street financial giants. As is known to all, the financial system is divided into financial entities and the virtual financial, virtual financial based on the entity's financial, at the same time can promote the development of financial entities, the two complement each other, be short of one cannot, proportion of a country's financial entities must be greater than the proportion that virtual financial, to enable the healthy development of the country's financial sector feet on the ground. Light has a solid financial, can't do without a virtual financial, financial innovation is indispensable link of financial development, financial innovation can accelerate the development of a country's financial industry, the lack of the financial system of virtual financial development is slow, such as our country is so so, due to a serious shortage of virtual financial, lead to the development of financial industry in China is very slow, lags far behind the western developed countries. Virtual financial, on the other hand, the light has no physical financial consequences are more serious, in Iceland, for example, in recent years, Iceland's national gradually from the original fishing as the main business into financial as its main business, not before the outbreak of the financial crisis, the financial industry is developing rapidly, but after the crisis, since there is no real financial support, lack of Iceland's financial collapse suddenly building foundation. One of the deep-seated reasons for the outbreak of the financial crisis in the United States is the imbalance of the financial system. The proportion of virtual finance is too large. New law on financial regulatory reform measures, indicate the direction of adjustment to the U.S. financial system, to increase the proportion of financial entities, financial innovation to give priority to with the entity level, gradually by the financial system dominated by virtual financial adjustment to give priority to with real financial, virtual financial system and the balanced development of the entity's financial health, it will be good for the U.S. economic recovery and the development of the future. The sudden emergence of the new law has caused a huge shock in the financial sector. Such an epoch-making reform of financial supervision will inevitably benefit some institutions and interest groups, while damaging other vested interests. This creates a conflict of interest, and the American authorities have to compromise in order to balance different interest groups. The final stage of the bill's consideration had two main concerns: the volcker rule and the Lincoln amendment. The volcker rule would have banned all proprietary trading in banking and separated it entirely from hedge funds and private equity funds. Results, and ultimately through the law not only allow 3% of the banking institutions will be the core capital to invest in hedge funds and private equity funds, and in the process of exit from existing investments get very easy transition: after the act, banking institutions will be two years of buffer, then can apply for 3 times and each time the extension of the period of 1 year demand, and in illiquid investments, Banks can grace period on the basis of the former back to five years. So in theory, Wall Street's largest financial institutions could not fully comply with the volcker rule until 2022 at the latest. And Lincoln amendment for large financial institutions to divest all derivatives trading, exit the financial derivatives market and eventually compromise for bank may retain the conventional interest rate, foreign exchange, commodities, such as derivatives trading, only junk bond credit default swaps and other high-risk derivatives can be spun off completely, and the bank also have two years of transition. In short, the new regulations are not as robust as previously thought. It is worth emphasizing that the structure of financial regulation should adapt to the development of the financial system, rather than run counter to it. 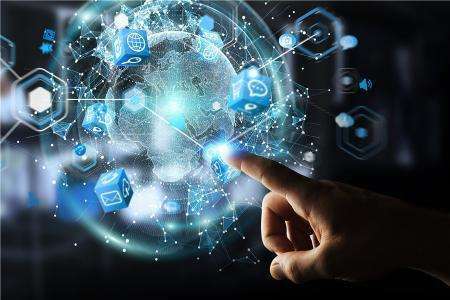 Financial regulation should keep pace with the development of finance, and it should not put the cart before the cart by limiting the development of finance to achieve the purpose of easier regulation. What are the trends in the modern financial system? The traditional financial system with Banks as the main body turns to the new financial system with capital market as the core. One of the significant changes is the "deregulation" of financial development. The salient feature of the new regulatory bill is that it ends the continuing trend of "deregulation" in American legislation, but it reinstates financial regulation in a way that does not impose the heavy restrictions on financial liberalization that had been predicted. Instead, the new regulations almost entirely recognize a series of changes in the U.S. financial system, and seek to manage the new risks posed by these changes only by adapting the regulatory architecture and rules to the new changes in the financial system. To sum up, although the new regulation bill's intention is to maintain financial stability, but it reflects the "financial stability just means, financial and economic development is the ultimate goal" deep thoughts, the financial supervision should adapt to the development of financial, rather than cut, this idea is very worthy of our reference in the reform of financial supervision system of our country seriously. How to deal with the relationship between financial regulation and financial development will be our next to solve the new problem, let us wait and see.